Over the holidays I had one of my most challenging commission pieces yet. 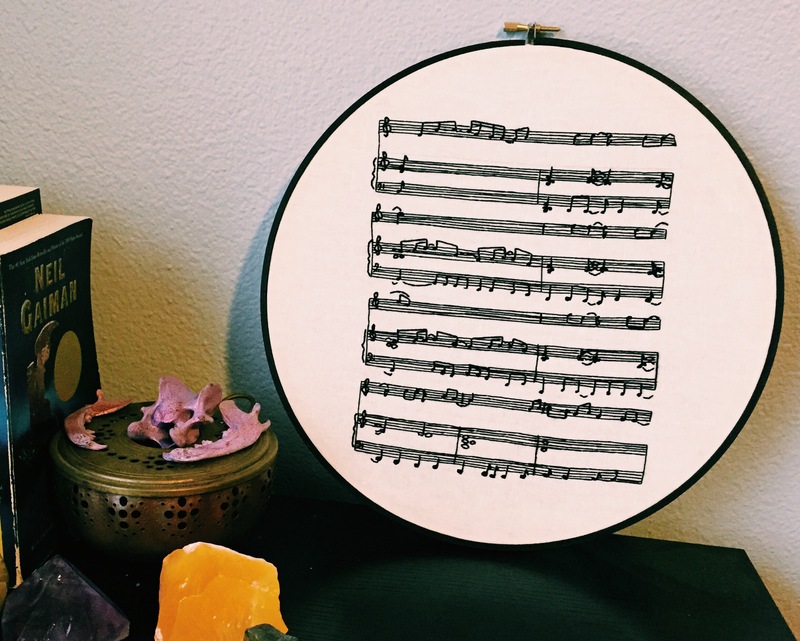 I embroidered sheet music for John Mayer song. 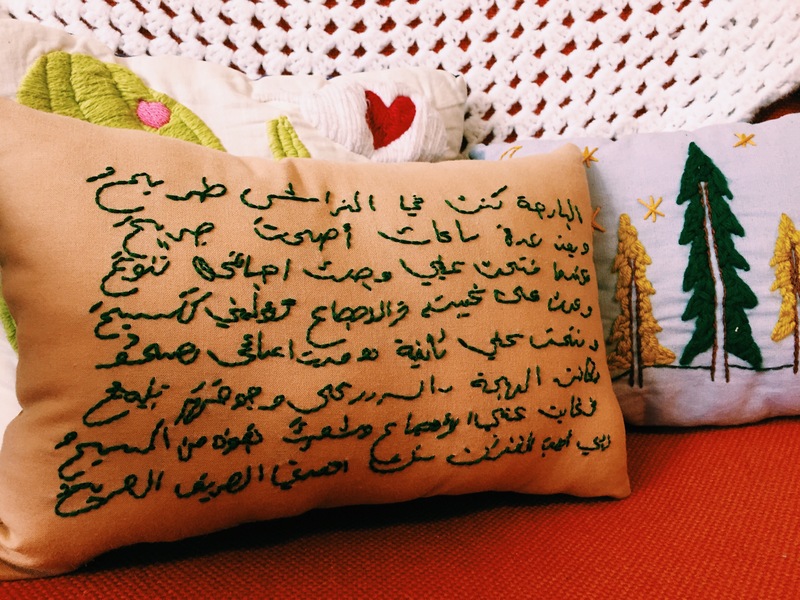 The challenge was worth it, because the result was really beautiful and sentimental piece for the purchaser. I ended up just doing the chorus, because any more than that would have been very long and taken forever to complete. 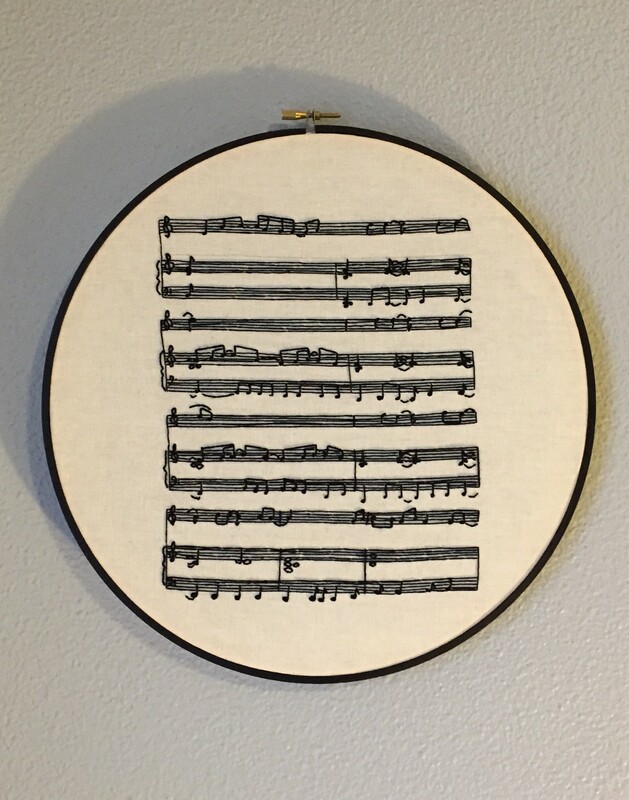 This piece was done in a 12″ hoop, so it is fairly large! 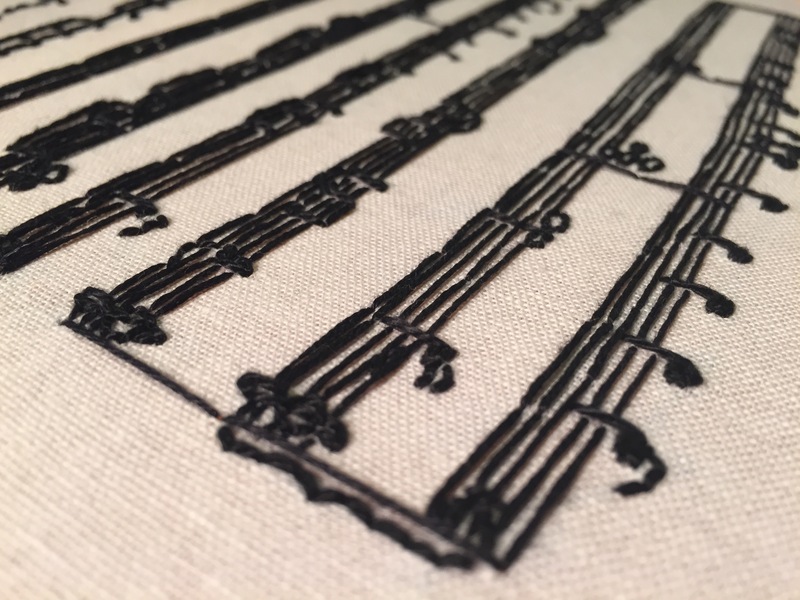 Even though I was cursing at all of the straight lines while making it, it was still one of my very favorite pieces. PS. 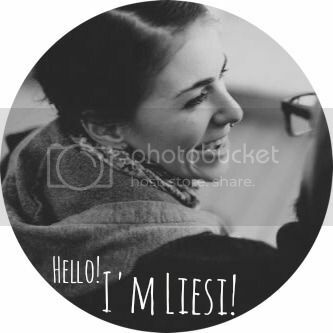 If you are interested in custom piece you can go here or here. Happy Friday you guys! Today’s post is to give you guys a heads up that September 1st pricing on commissioned portraits will be going up. Right now the price is set at $30.00 per person, but starting in September it will be set at $40.00 a person. If you’ve been interested in a commissioned portrait of you and your man/lady, or a family portrait contact me by August 31st to get the $30.00 price point! Now might be a good time to starting thinking about upcoming holidays, and beat the crowd! 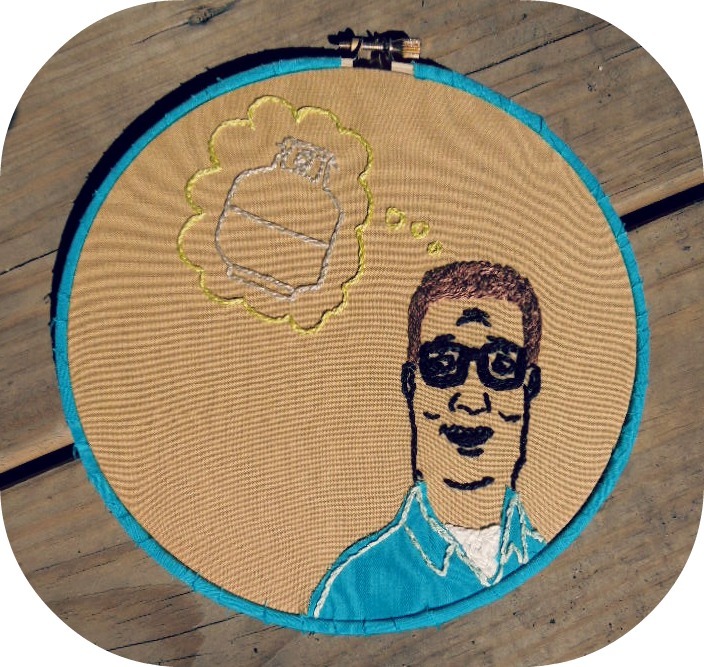 It’s not a secret that I love King of the Hill. One of my co-workers asked me to make this piece for him, and I was more than happy to oblige. 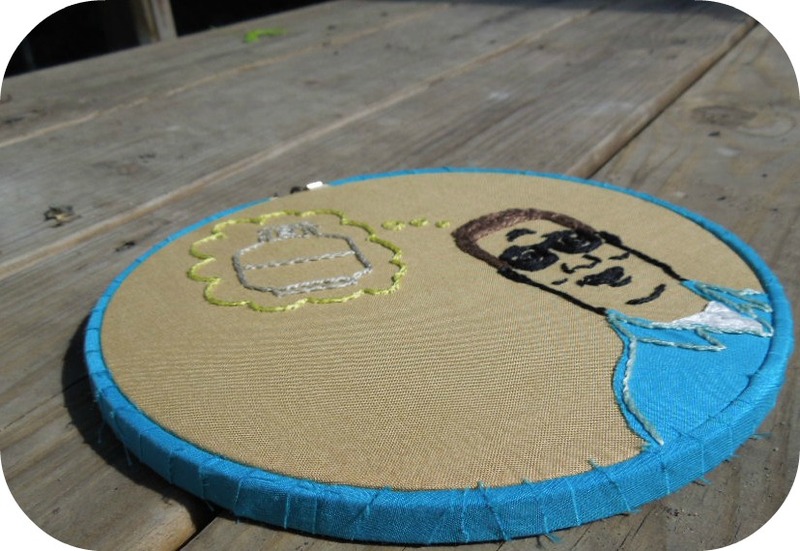 I’ve already made three other King of the Hill pieces (1, 2, 3), and really all I needed was an excuse to make another one. 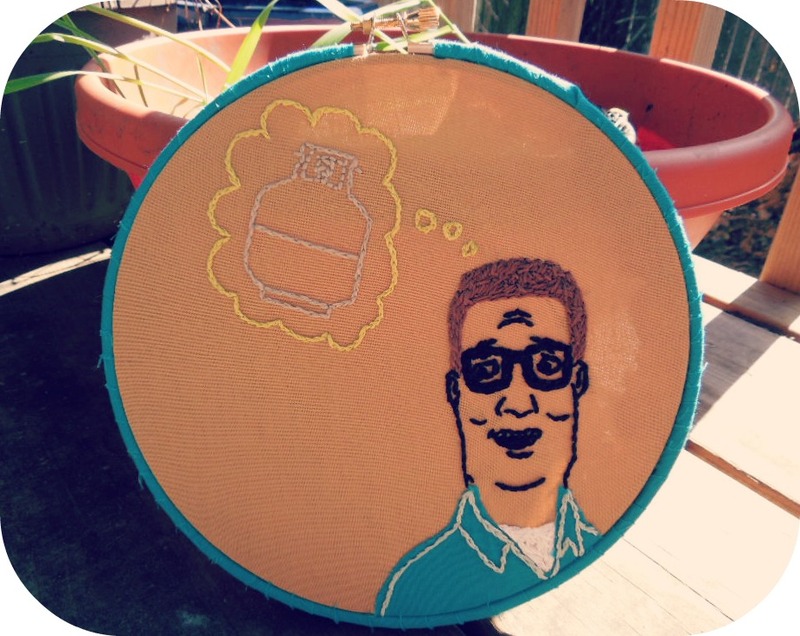 He is, of course, daydreaming of propane in the embroidery. Because of the propane tank I decided to have him wearing his Strickland work shirt, which I used a blue fabric for. I used the same fabric to wrap the hoop. 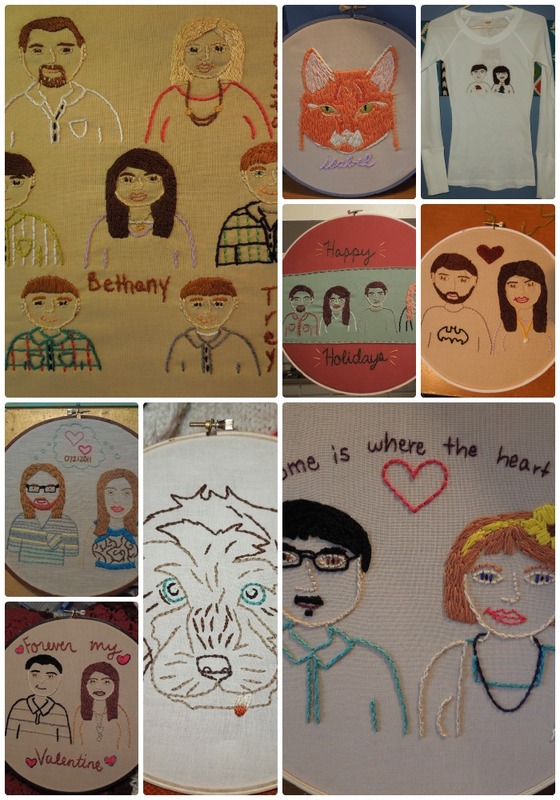 Cartoon characters, and pop culture references in general, are some of my favorite things to embroider. Keep them coming, guys! I recently caught up on commission pieces, and that means I now have openings for new projects! You can find out more information on these pieces here or here! 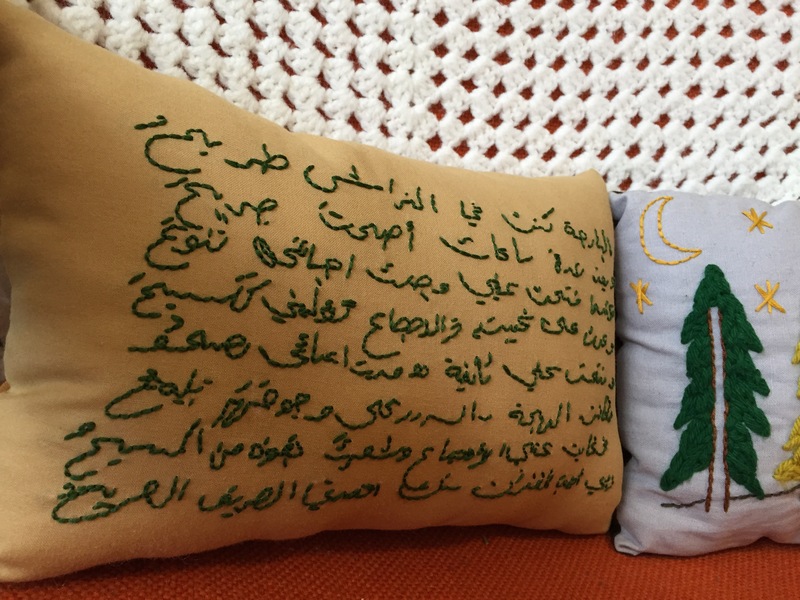 You can find out more information on these pieces here. If you’re interested you can either email me (toocrewel AT gmail DOT com), or fill out the form below! 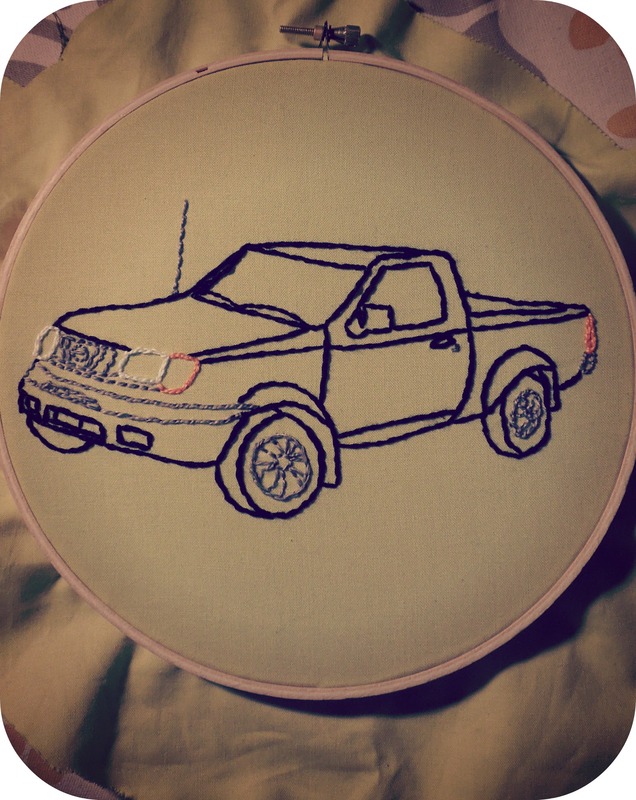 Since November I have been working on a bunch of commission pieces, most of which are embroidered portraits.Now that I am caught up on all of these pieces I am taking a break from portrait commission’s until May (at which point I will start taking new orders if anyone is interested), so I have time to work on new pieces for my shop, friends, family, and myself. I need to take some time to get my creative juices flowing again and find some new inspiration. In the meantime though, I thought I’d share a few of my favorites so you guys could see what I’ve been busy working on the past few months. 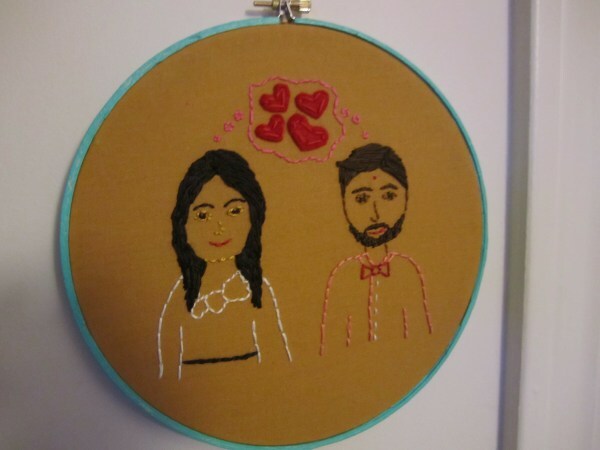 This one was a gift a couple purchased for their friends who recently were married. 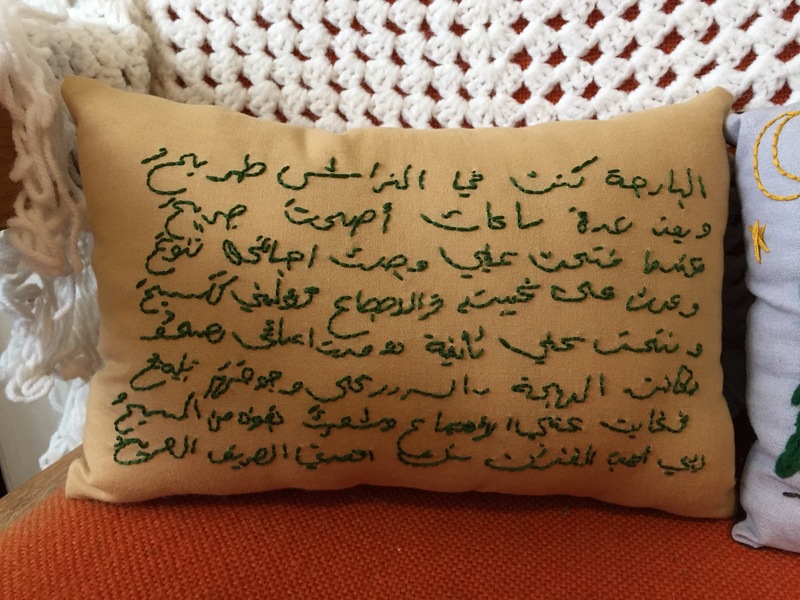 This one was a Christmas present a wife gave to her husband. It is them, and their dogs, in their Halloween costumes from one year. This one was fun to do because I tried something a little different. 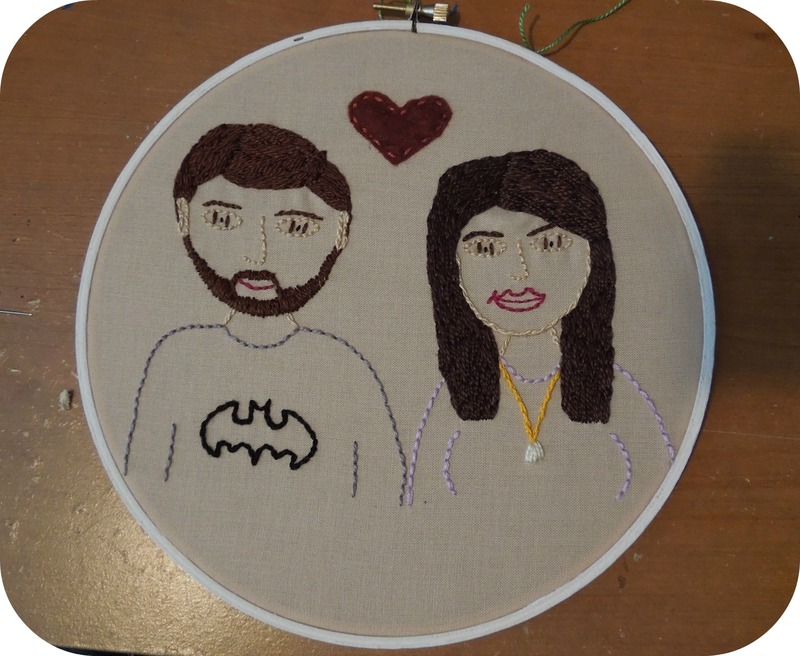 I made two of these, one for the boyfriend and one for the girlfriend. 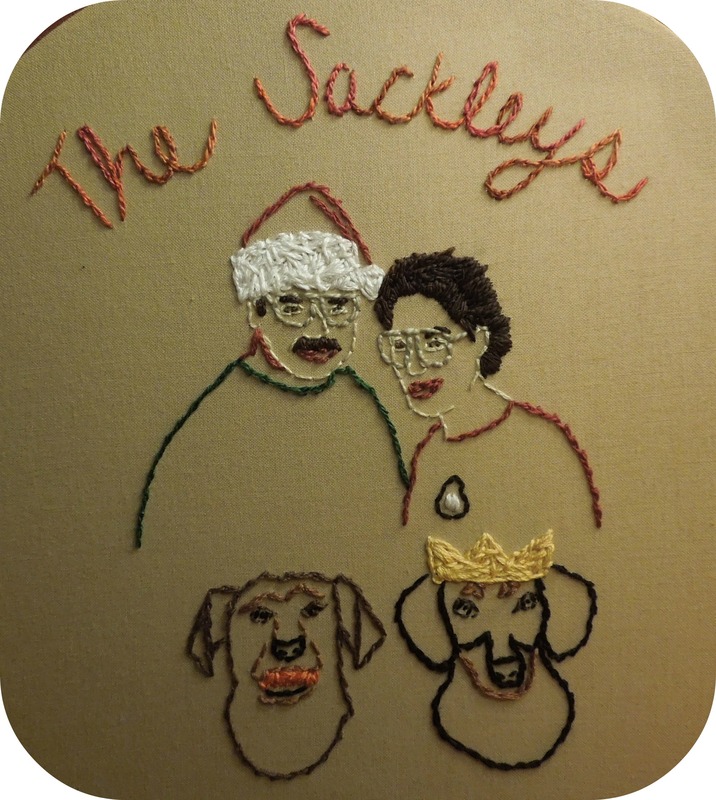 They were embroidered wearing ‘ugly Christmas sweaters,’ and wore the shirts to an ugly sweater Christmas party. 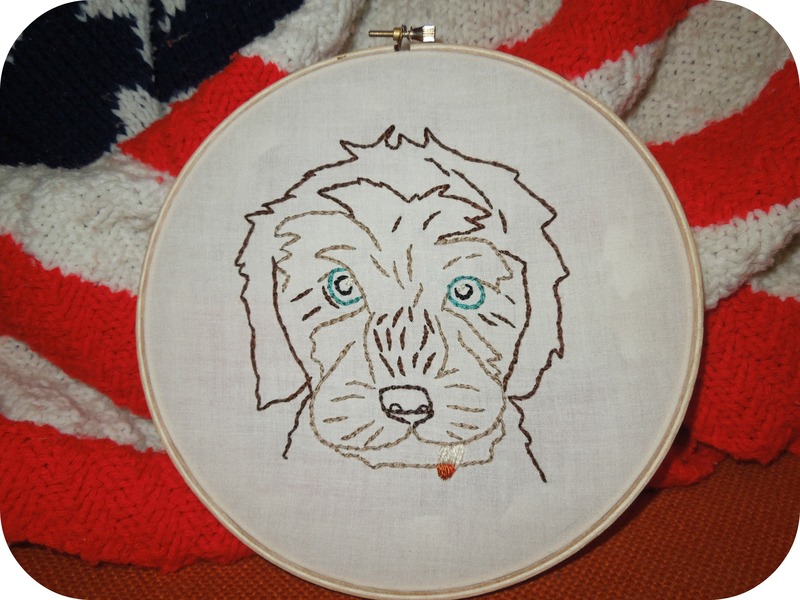 This customer had me embroider her sisters dog. He was the cutest puppy. 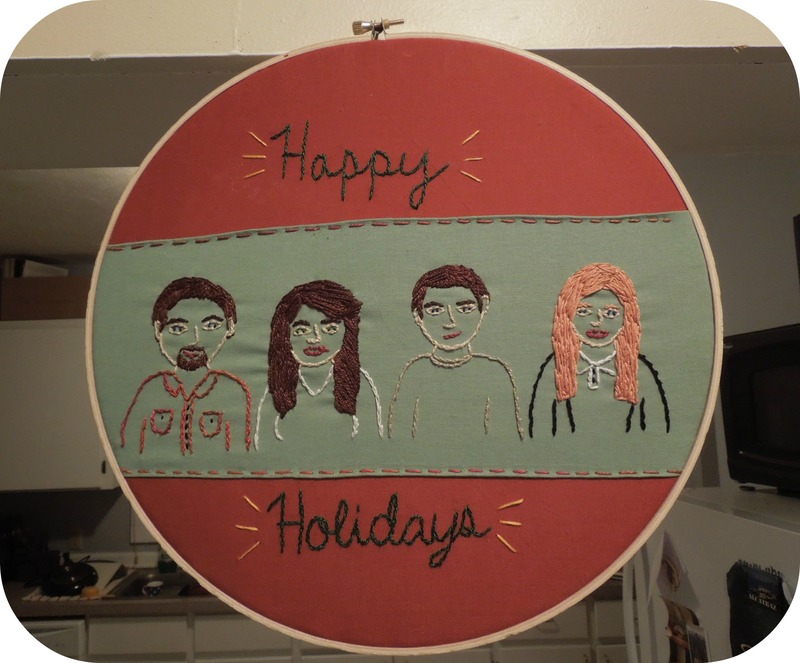 This family used images of this embroidery for their family Christmas card. 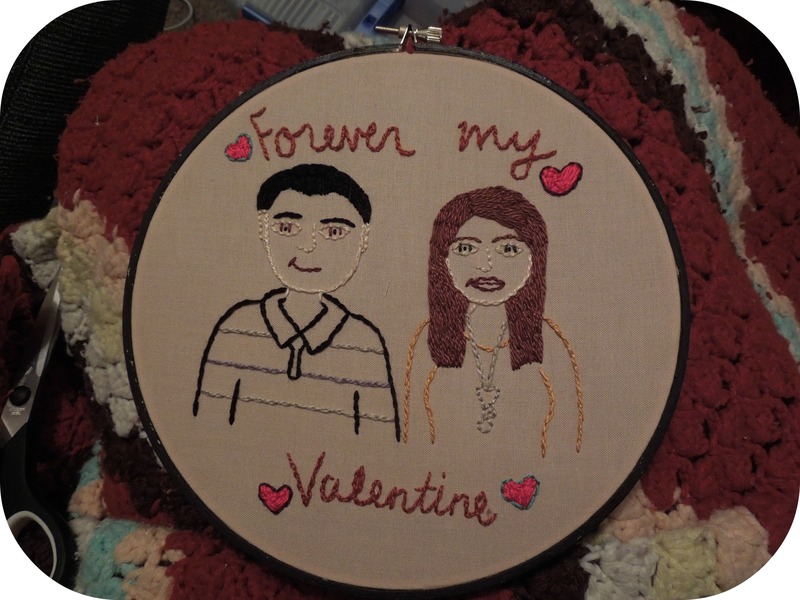 This is the backside of another couple that I did an embroidery of for Valentines day. 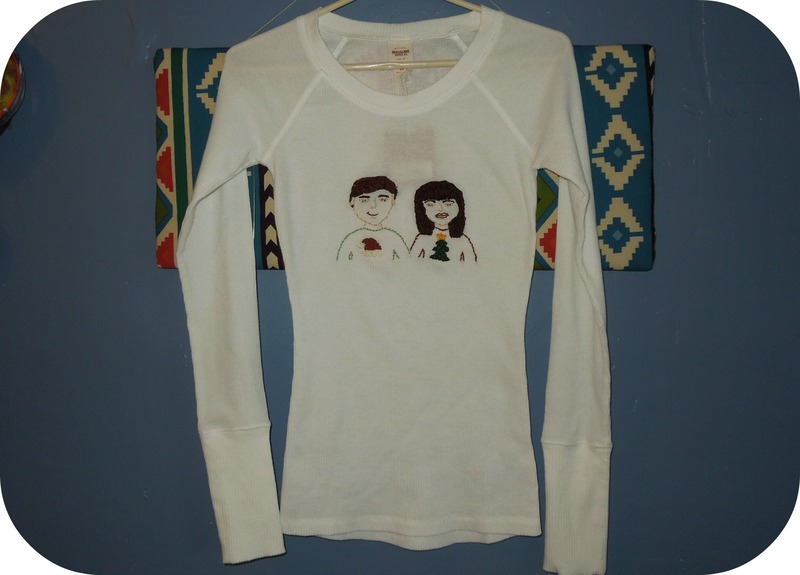 I really liked that she made the back just as special as the front for her boyfriend. This one took a long time to finish, but it was well worth it. I’m very happy with the way this family turned out! It’s never too early to start thinking about Christmas gift ideas. 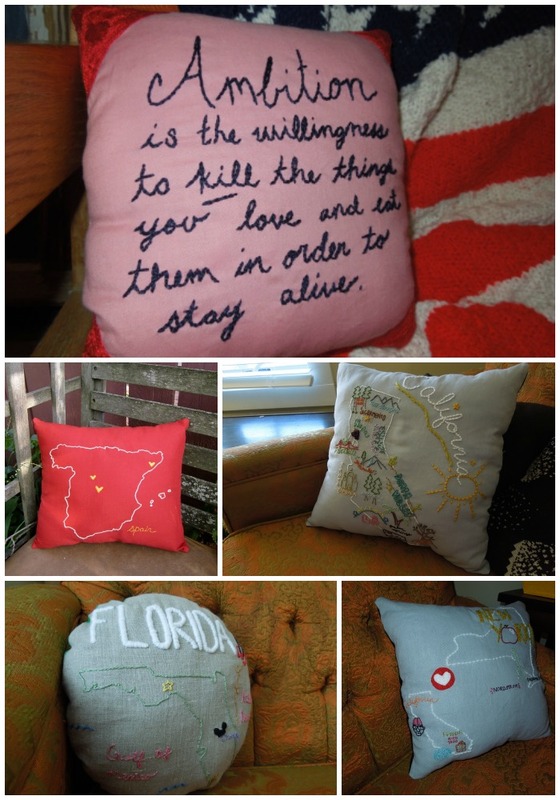 If you’re anything like me you start your planning months ahead of time, and handmade gifts are your favorite. 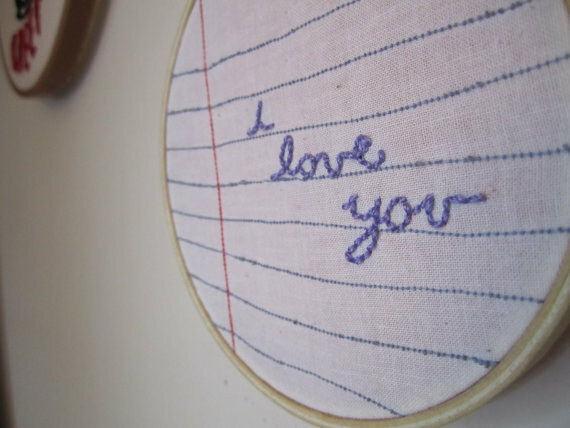 I’m starting to take orders for the holiday’s for custom embroidered pieces. 1. 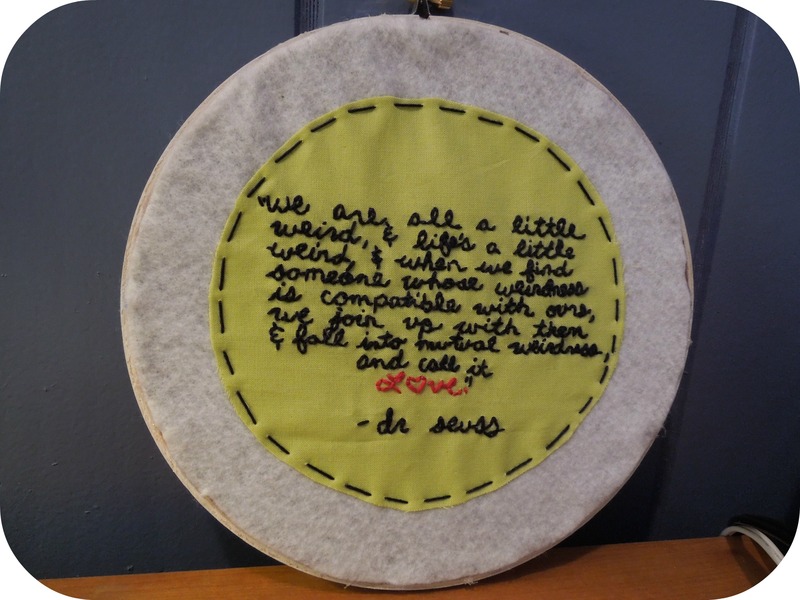 Custom Piece that comes in an 8″ hoop, this could be anything from a quote, a personalized message, or a design of your choosing. 2. 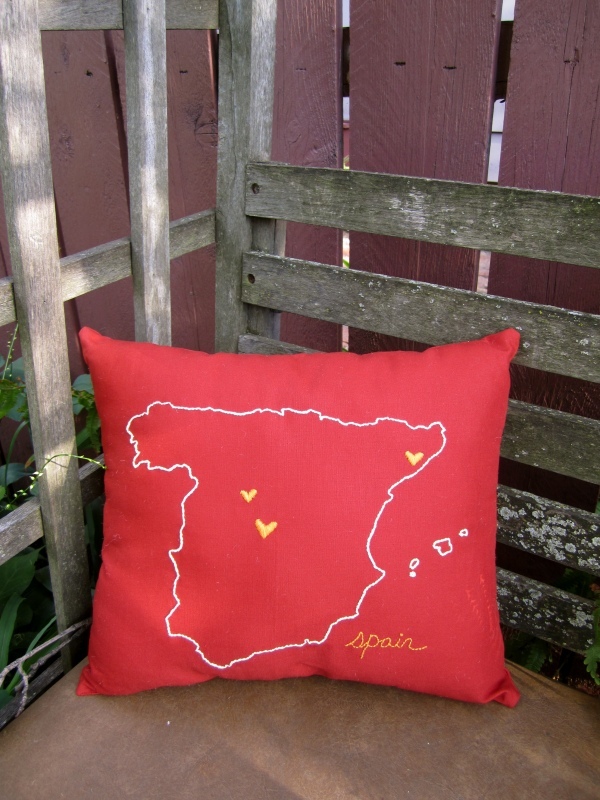 Custom embroidered pillow, you choose the shape, color fabric, and what gets embroidered onto the pillow. 3. 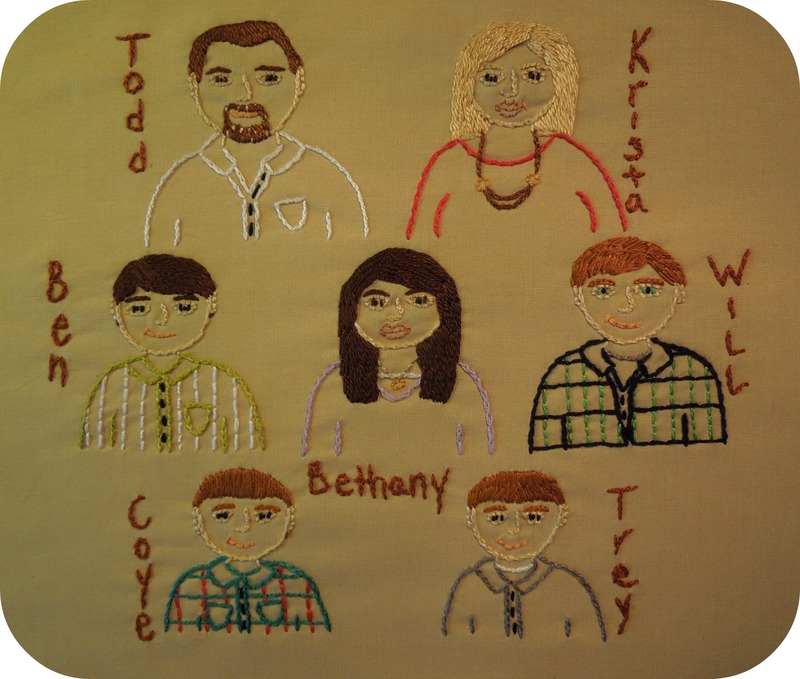 Custom portrait embroidery, which could be you and your sweetheart, your family, or you and your pets. Follow the above links for specific costs, or you can check out all of the prices here. 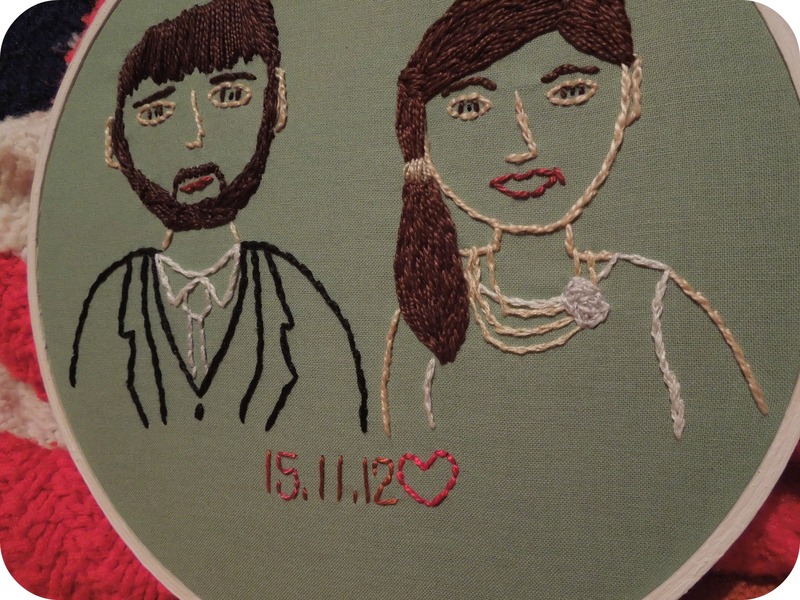 *prices and time frames subject to change depending on the detail of your individual piece. Mention this post and get free shipping!